Pusher furnaces are suited for material which requires continuous treatment under a protective gas atmosphere. With the hearth type structure, the furnace comes with single or multi row configurations with quenching solutions. The process from carburizing to nitriding, preheating, washing, tempering and cooling are carried out. Multiple tracks allow greater flexibility by allowing varying case hardening depts. For each pusher speeds. With excellent air circulation chamber, the heat is distributed evenly in the protective atmosphere. Pusher furnaces are used in the heat treatment of material which needs huge volume and less variety for operations like hardening, carburizing, stress relieving, annealing, solutionizing and Ageing. Our pusher furnaces are custom made based on the requirement of customer based on components, type of process required and space availability. These furnaces are electrically heated or gas fired furnace. These furnaces come with control platform with automatic operation and controlling, tracking, data monitoring and acquisition capability. 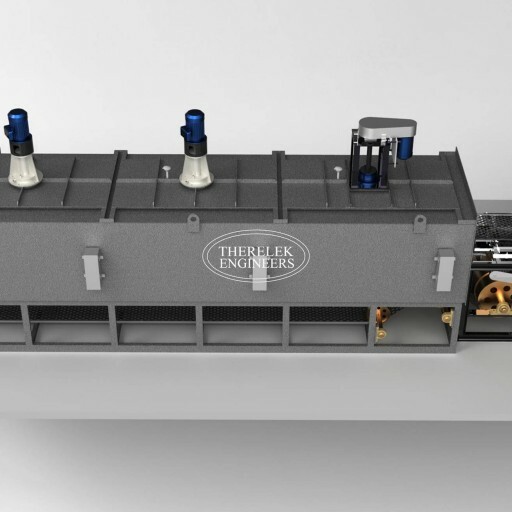 Therelek manufactures Pusher furnaces used in the thermo chemical heat treatment process of components suited for large quantities. This is used in processes like carburizing, hardening, annealing, stress relieving and ageing of various automotive, axle and gear components.